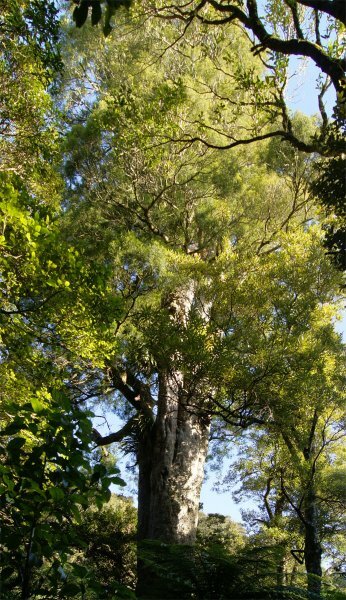 This large matai tree is a highlight of the Boundary Stream Scenic Reserve. The forest in which it sits was logged in the first half of the 20th century. The tree was saved from logging as it was deemed to be too large for the local mill to process. It also survived a nearby forest fire at the turn of the 20th century. The tree is often referred to as being 800 years old. Dr Patrick Grant gives an age of circa 700 years, based on extrapolation of coring and tree ring data correlations for matai in Hawke's Bay. 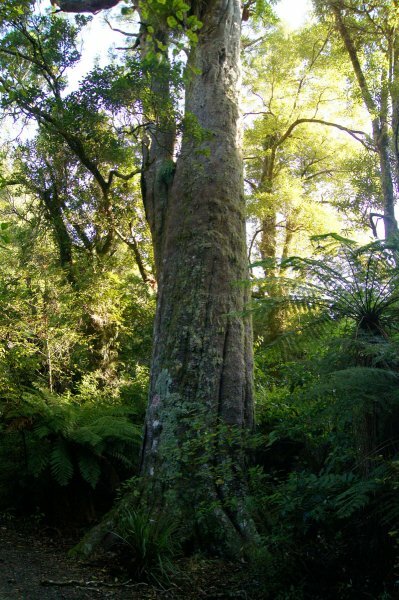 Measurements by Grant in 1993 were 225 cm dbh, bole of 7 m and a height of 25 m. Grant states that this is the largest known matai in Hawke's Bay (Smillie, 2011). Large buttressed trunk to 7 m.
20 Jul 2011 Smillie, M.J.
About an hours drive north of Naipier. 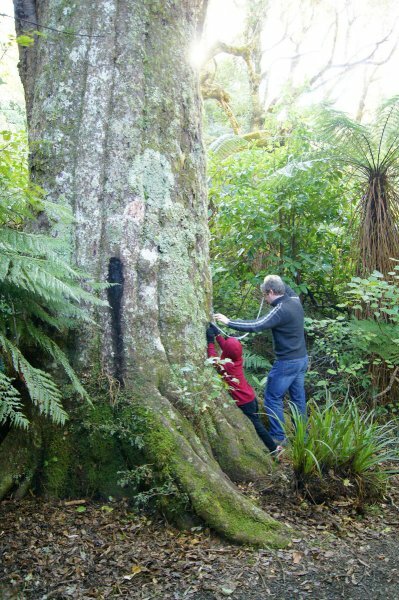 The tree is located at the junction of the Kamhai Loop Track and Tumanako Track, about 10 minutes walk from the signposted car park on Pohokura Road.